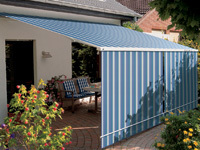 Discounts on all Patio awnings - Beautiful Bespoke Patio Awnings. 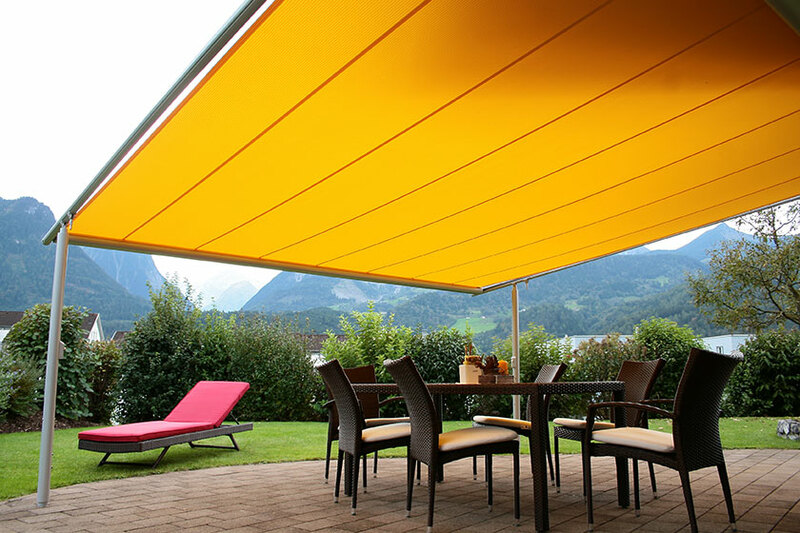 We have textile shading systems that will cope with almost any eventuality, stay dry in a shower or shady in a heat-wave when you choose from our huge range of styles and systems. Crafted for your individual application, our exterior shade systems are built with both advanced technology and lasting qualities. Here we have detailed a selection of options, or come and visit our showrooms to get a real perspective on what would suit your patio. 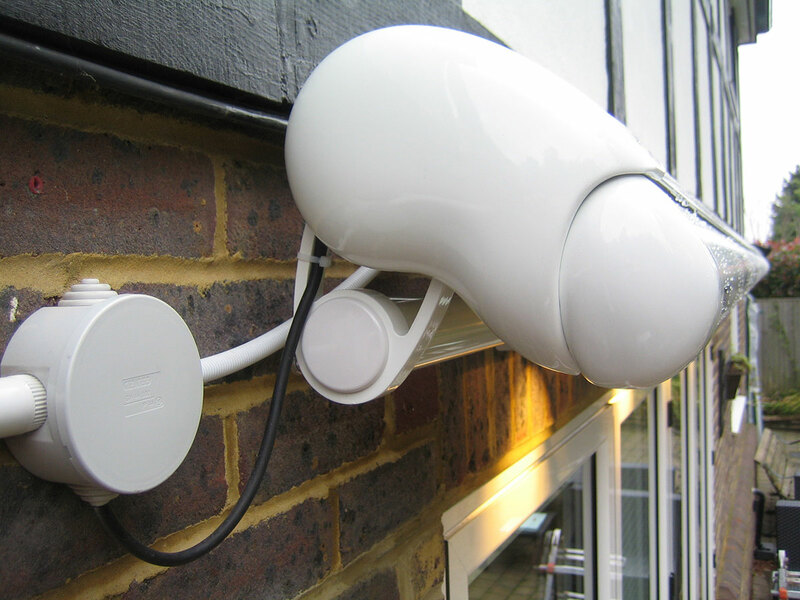 We can supply and fit the following products . 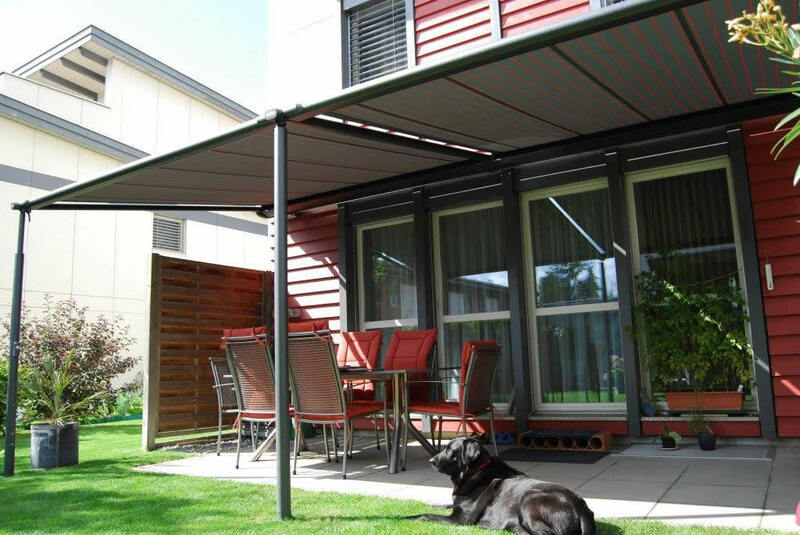 Imagine the difference to your quality of life with a patio awning from Aquarius Blinds. 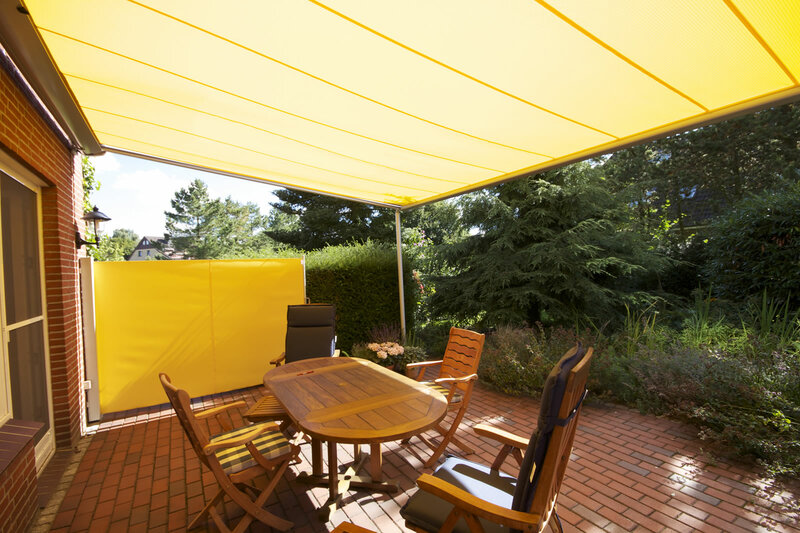 Not only will you enjoy life in those hot summer days, but also the evenings when you don't have to go inside because the light is a little low, begins to get chilly or rains, because we have awning systems that will cope will almost every eventuality. 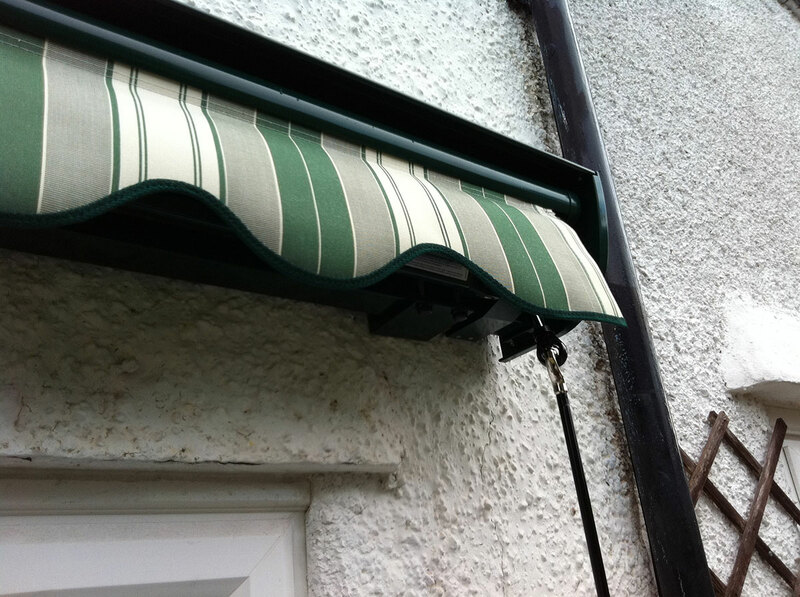 Our awning systems come as standard with Polyester Powder coated finish in a variety of colours or you can choose an optional special non standard finish in recognised RAL colour or special "Nano coating" a specialist finish with self cleaning innovation. 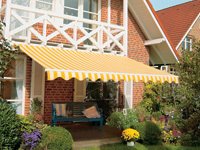 With the purchase of an awning from Aquarius you have chosen a high class product. All fabrics are produced on state of the art weaving looms. This guarantees an extremely high degree of perfection. 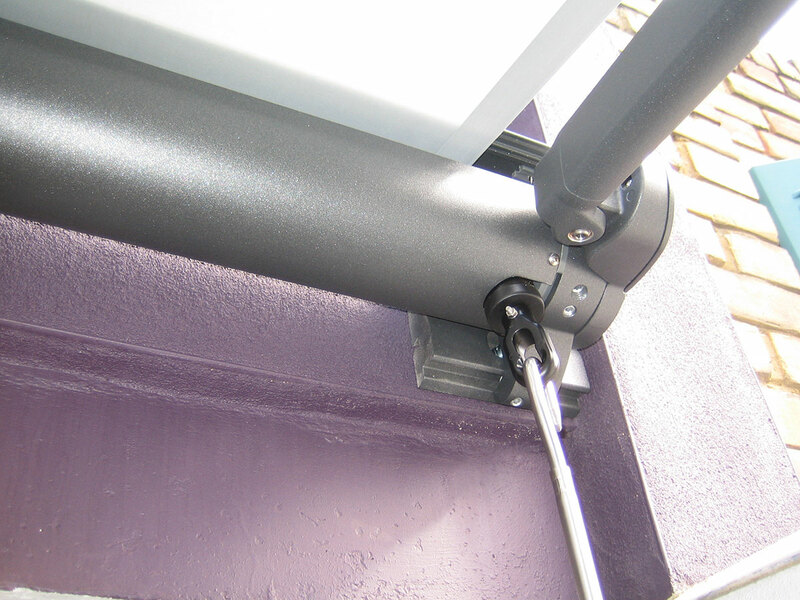 Meticulous checks ensure that we only ever supply and install flawless covers to our awnings. With options to choose either our classic Acrylic in a choice of over 100 shades or our self cleaning SNC fabric in 88 designs you will find the right ambiance for your style of living. 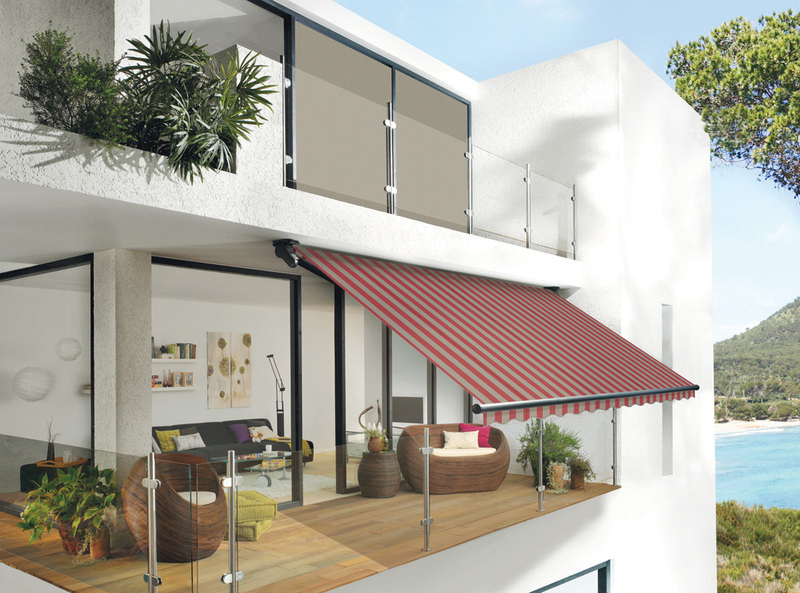 Patio awnings come in a variety of types designed around individual needs. 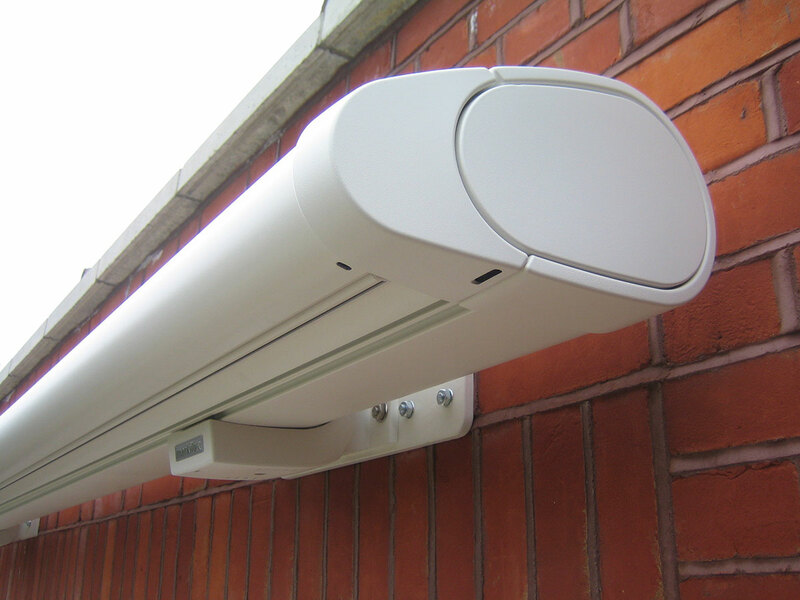 Our systems are suitable for everyone regardless of your budget. Here we show a small selection of what we offer and as a specialist we can offer advice and tailor a system to give maximum benefits to you and you pocket. 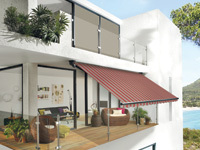 The retracted awning including arms, fabric and front rail are protected by a weather board located over the awning. This means that the awning is better protected than an open one. 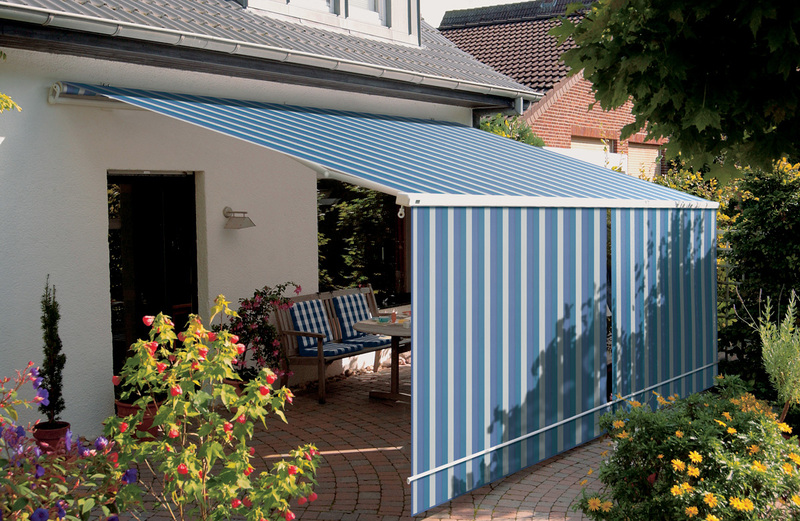 Cassette awnings are the ideal solution – when retracted they provide all-round protection for the awning fabric and the mechanism. 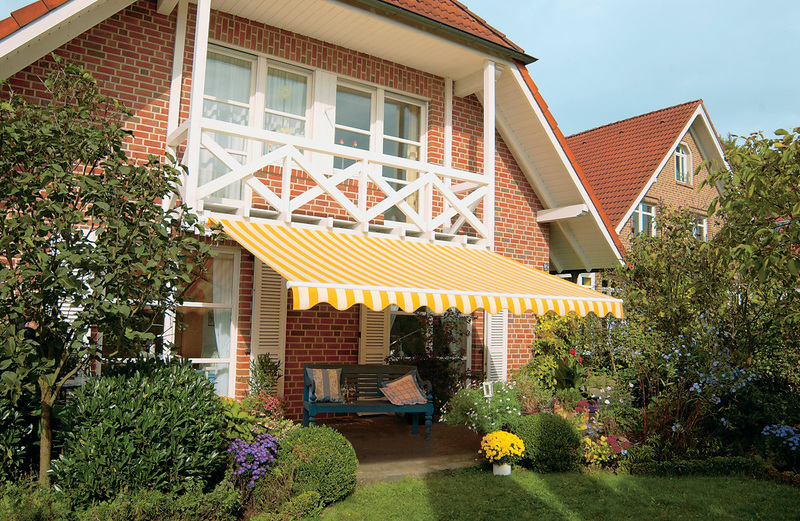 The awning is ideally protected, ensuring a long service life. designed for all year use our patio roof systems offer large projections where the width is limited and complimented with ground legs to support the system even in inclement weather. 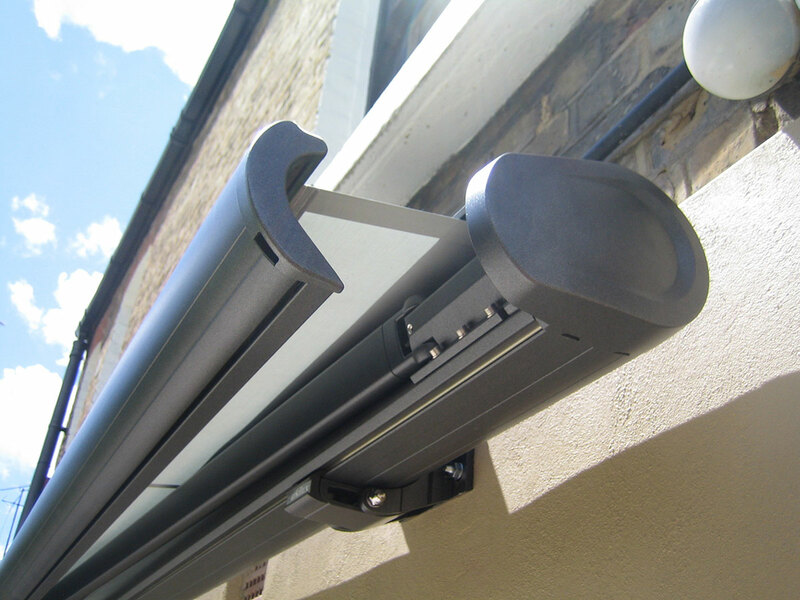 Our stand alone range is a framing system to take any of our awning systems. 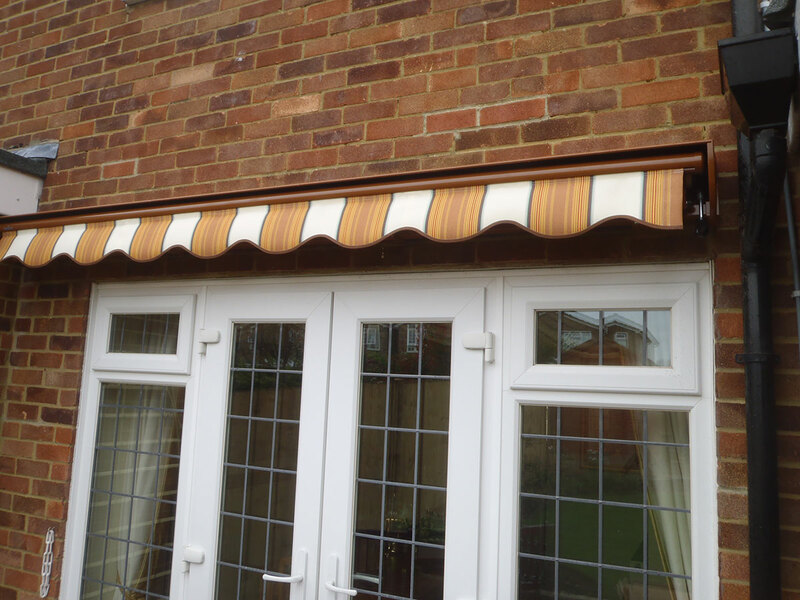 Combine any 2 awnings fitted back to back for that ambience like no other. Combine this with side screens and lights/heaters and you have a complete outdoor room. Click for information For further information or a catalogue, please complete our contact form. As with most things, they do have a life span and when your awning or canopy needs refurbishing, we are able to undertake this for you. Perhaps you have an older fabric type, encountered some damage or are simply looking for a change, we are able to supply and fit a complete new fabric covering to almost all blinds, awnings and canopies.